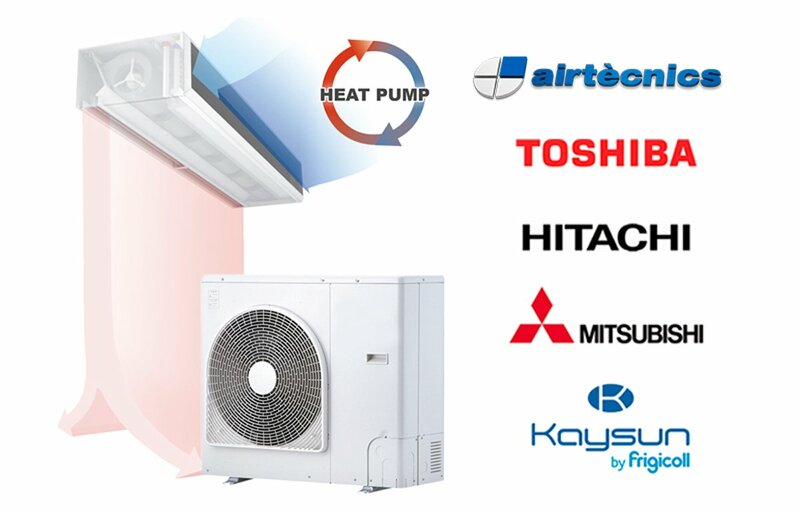 In order to respond to the growing customers demand, Airtècnics has worked decisively to strengthen its heat pump air curtain range and has made it possible for its DX equipment to be compatible with the highest number of heat pump manufacturers possible. The success of these curtains lies in the increase up to 70% of energy saving. Ready to produce heat or to perform a cooling function, its installation makes it possible to reduce the costs and the CO2 emissions (heat/cold mode) in a 70%. The Airtècnics DX air curtains incorporate a direct expansion battery that, connected to a head pump, is offered as the low consumption alternative to the classical –electrical or water- heating batteries.